Stylish and colourful, this triangle-shaped crochet shawl is a great accessory particularly for chilly summer days, for a beach party outfit, or a great gift! 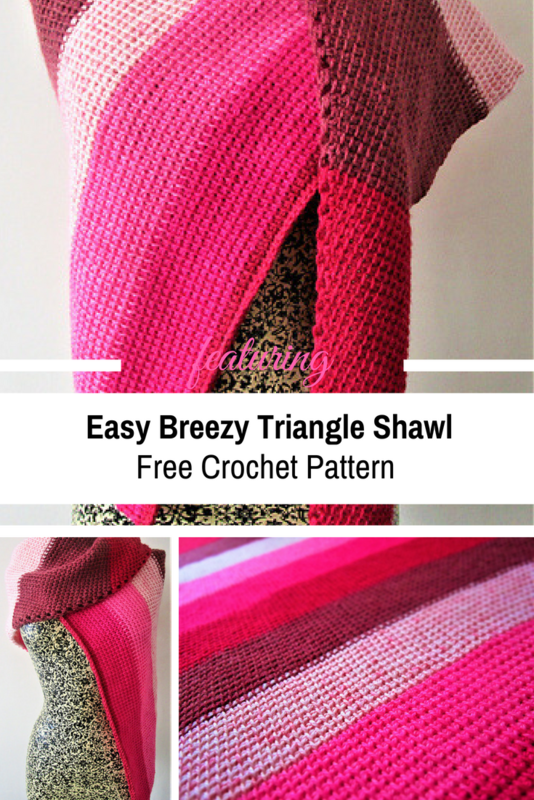 Easy Breezy Triangle Shawl by Hayley Joanne Robinson made using the Tunisian Simple Stitch emphasizes the colour changes of the yarn to make a unique, colorful triangle shawl. This shawl is a stylish and colourful accessory for those chilly days. It uses 1.5 Caron Cakes or just 1 Caron Big Cake, and the pattern is so straightforward that it doesn’t even fill an A4 page! 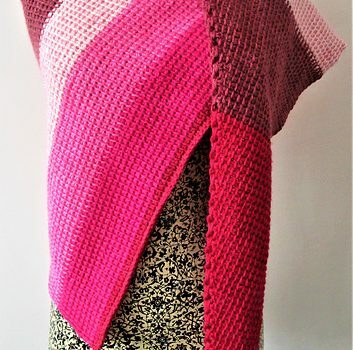 The Tunisian Simple Stitch emphasises the colour changes of the yarn, so all you need to do is make a simple asymmetric triangle, worked by increasing one stitch every other row along the left side of the shawl. You will need to be familiar with using the Tunisian Full Stitch as an increase technique. Thanks to Hayley Joanne Robinson for the article inspiration and featured image. [Free Pattern] This Unicorn Hood Looks So Magical! I love all the patterns I just wish i had more time, keep them coming.